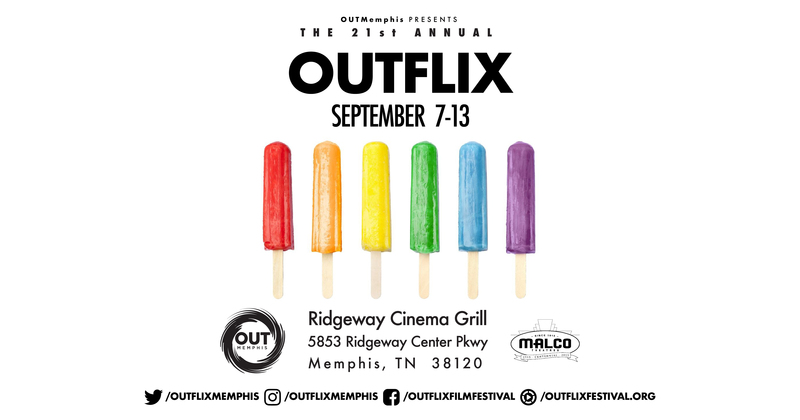 Please join us for food, films and fun as we celebrate Outflix turning 21! The preview party wil be on Tuesday, August 21 from 6:30-8:30 at Crosstown Arts (430 North Cleveland Street). This year’s preview party will include a local short film competion, food, drink and more! Then get ready for OutFlix Film Festival on September 7-13. The Festival Lineup will be announced soon! Check back on the facebook page regularly for trailers from Outflix fan favorites from past years, a complete archive of past Outflix films, and to vote on daily polls for your favorite movies and shorts.